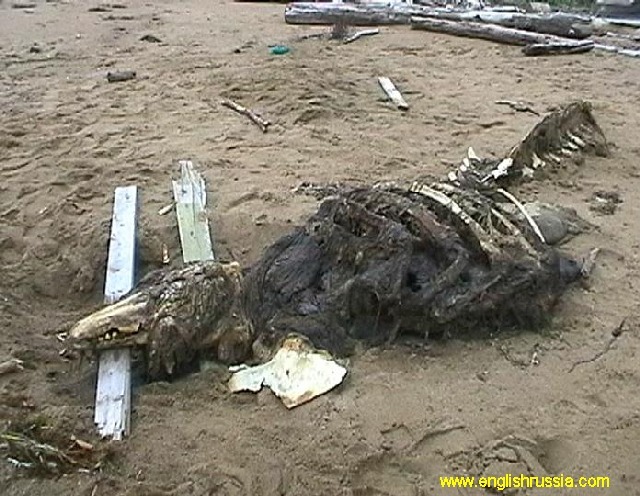 Russian soldiers have discovered an identified creature on the Sakhalin shoreline near Japan. Click on the picture to view a ton of photos. Could this be a relative of Champ? The skull looks like a whale, to me, it seems like a young whale, or maybe a basking shark.